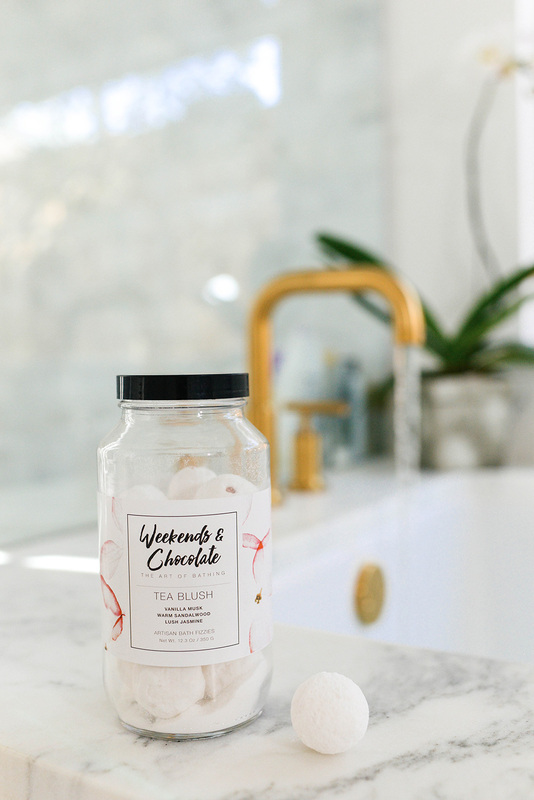 For the busy bee who needs to relax and unwind, this Coconut bath soak or these bath fizzies would be a great gift and reminder to take time for yourself. This quarter zip pullover is an exercise staple for any guy! If you’re friend is always the hostess, a pretty dish like this or pair of champagne coupes would be ideal! Get three different pocket squares for your dapper dude for only $49! This pink S’well bottle is a great gift for just about anyone, but especially your workout buddy. For the beauty junkie, why not gift them a lip gloss duo or a nice Chanel nail polish in a festive hue? This Google Home speaker would be a wonderful gift for any man. This Slip eye mask with red kisses all over it is so cute I got one for myself! Last but not least, you can’t go wrong with candy. 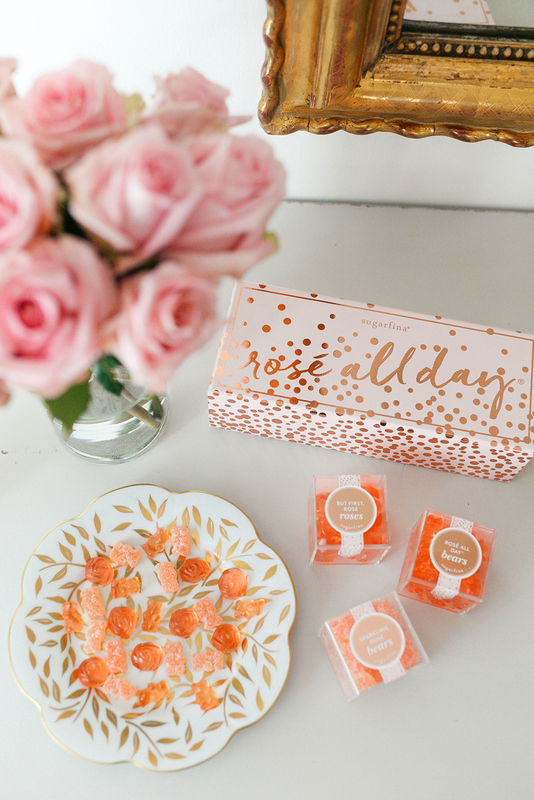 This Rosé All Day set comes with three stylish and sweet treats for anyone on your list! The best part about shopping from Nordstrom is being able to shop online and pick up curbside the same day! It’s saved me so many times when I’ve needed something last minute – it truly is a lifesaver! All you have to do is select the “Shop Your Store” option when perusing on the website, and then make sure you select the “Buy and Pick Up” option when adding the items to your cart. So easy! This post is seriously so cute! 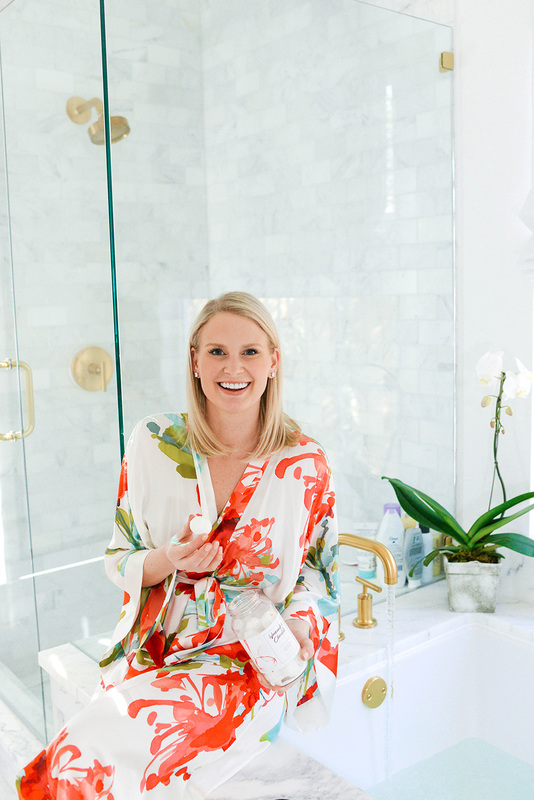 I’m loving that pretty robe & your bathroom is absolutely amazing! That cute heart dish and lace pajamas are my favorite picks! These are great ideas!! 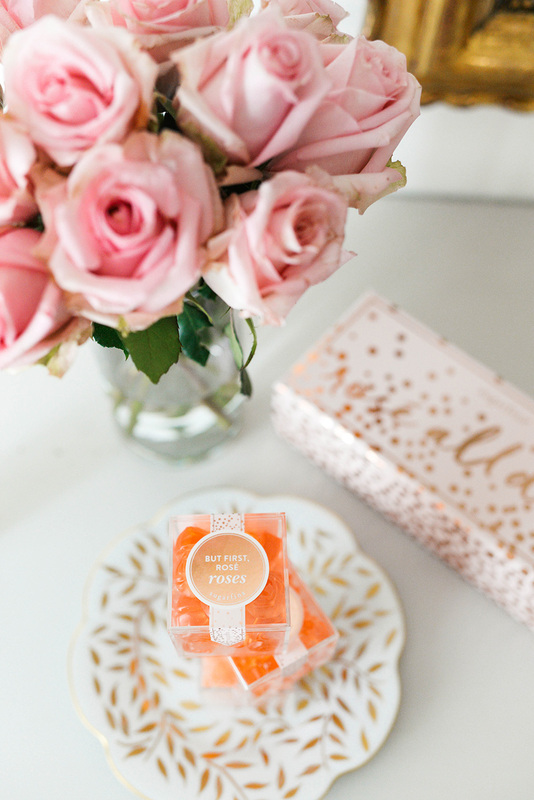 And for sure the Sugarfina dummies are a hit! This is the cutest post! I love it!! Love this; so many great ideas!! Would you mind linking your robe?